Downy snowflakes fell on the bare trees branches; they fell on the charred wood scattered outside of the house at 319 Elm Street, covering the evidence of the fire the previous night; and they fell on Connie Barrett, melting on her face and mingling with her tears. Connie looked up at the roof, or what was left of it. Huge plastic tarps covered the gaping hole where the fire had burned through. Living in the basement apartment, she and her boys had escaped through a bedroom window when smoke came billowing down the stairway. As the afternoon daylight faded, Connie walked over to the window, knelt down and peered in to see what of her worldly possessions remained; it was difficult to see anything, but it appeared that the basement had suffered mostly smoke damage. However, the firemen had told her no one could enter the house. Structural damage to the stairs and some other places, they said. Too dangerous. She could go in after the damage was assessed and the cause of the fire determined. But it would probably be a month before she could move back in. Just guessing from past experience, they said. Connie wiped her eyes with a tissue and stuffed it back into her pocket. Never before had she felt so alone and helpless. She and her eight-year-old twins, Tony and Tyler, had moved to this place two months ago after Robert, her husband of 10 years, had packed up and moved out of their house. Just like that, he was gone and she was alone. She should have seen it coming. Robert had a restlessness she never understood — always moving and changing jobs. It was his idea to move from Ontario to Alberta six months ago. Now she was a stranger here; all of her friends and family lived out east. "God, are You up there someplace? Do you care?" She asked these questions, desperately wanting answers, but not really expecting any. She was being tossed about in the raging storms of life. She knew she needed something to cling to, but she had nothing. Absolutely nothing. Across the street at 318 Elm, Hazel Wilcox sat by the window, rocking gently in her pink flowered rocking chair. She had been reading her Bible which now lay in her lap as she idly watched snowflakes fall. Sunny, her collie, nuzzled her hand and whined. "Sorry, boy. You wouldn't like walking in all this snow. Besides, I already took you out for a walk earlier today — or maybe it was you who took me." At 62, she was finding that arthritis made walking increasingly more difficult. "I know you miss Roger," she said as she scratched Sunny's head. "He always took you for a walk when he got home from work. This is going to be a sad Christmas because he's not here." A tear escaped her eye as she thought of her husband who had died of a heart attack six months earlier. "Lord, do you have much left for this old woman to do? Because I don't feel very useful down here any more. I try hard not to feel sorry for myself, but I don't always succeed." Then Hazel chuckled to herself. "Sorry, Lord. I'm just not myself today. When I whine, I probably sound like Sunny." At that moment, movement across the street caught her eye. Connie! She would recognize that distinctive blue parka anywhere. Last night Hazel had watched the firemen battling the flames and prayed for the people living there. What a relief it was to hear that Connie and her boys and the couple who lived upstairs had gotten out safely. Now Connie was standing there, looking at the house. Hazel knew Connie from the times they talked when she was walking Sunny in front of Connie's apartment. Some days Hazel did more talking than walking. Suddenly Hazel felt an urgent need to get up, put on her coat and walk across the street. She was out of breath by the time she reached the forlorn figure staring at the house. "Connie, I'm so sorry about the fire." Grief written all over her face, Connie turned and looked at her. "Thanks for your concern, Hazel. I didn't need this fire just when I was trying to get back on my feet." "Where are you staying?" Hazel pulled her knitted cap more tightly on her head and shivered in the cold. "I'm at the women's shelter." Connie dabbed her eyes again with the soggy tissue. "I didn't quite qualify as a battered wife since my husband is no longer at home, but they agreed I couldn't live on the street. The boys are at the shelter now. One of the ladies there said she would watch them." "Were you able to get anything from the house?" asked Hazel. "No, I can't go in yet." Connie sighed wearily. "I got some things from the Salvation Army so at least the boys can have clothes to wear. And I got a few things to wear for my job at the bank." "Christmas is coming next week," said Hazel said hesitantly. "I know you're from out of town. Would you like to have Christmas with us? My son and daughter and their families are coming over. You and your boys are more than welcome to join us." "We weren't going to have much of a Christmas this year." Connie was thoughtful, on the verge of more tears. "Sharing Christmas with you would give me something to look forward to. Thank you so very much." "I'll see you soon. God bless you," said Hazel, turning to go. By now the icicle lights were starting to twinkle on some of the houses along the block. Forgetting her arthritis, Hazel walked with a new spring in her step. She thought about Christmas and being able to encourage a family who didn't have the means to help themselves. She could actually do something! She forgot that she was feeling useless. The next day she put a Christmas music tape in her tape deck and found herself singing Christmas carols as she wrapped small gifts for Connie and her boys. At one time she had been a soprano in the church choir and even sang solos. Now her voice again filled the room. A few days later, Hazel actually had fun making apple pies — her specialty— ahead of time for the celebration. She would also do the turkey. Her daughter Karen would be bringing a few things and her daughter-in-law, Suzanne, had volunteered a few items as well. Days passed swiftly and Christmas Day arrived. In a flurry of excitement, Hazel's children and her four grandchildren — now in their teens — stomped the snow off their boots as they entered the hallway. Christmas music filled the house, and the fragrance of pine, spicy apple cider and turkey wafted through the air. Laughter soon blended in with the clanging of pots and pans in the kitchen. Then the doorbell rang. "I'm sorry we're a little late, Hazel," Connie apologized. "Bus connections are horrible on holidays, but I can't afford a car." Her two sons bounded in with enthusiasm. Tyler found Sunny and put his arms around the dog's neck. "Sunny, you're a good dog." Sunny's tail thumped against the floor as he licked Tyler's face. "This house smells just like my grandma's house at Christmas," said Tony wistfully. "I sure miss her." "I'm sure you do," said Hazel as she helped them with their coats. A short time later everyone was seated at the food-laden table. After Hazel arranged the turkey in the centre, she turned to her son. "Sean, would you like to ask the blessing?" When Sean finished, Tony piped up, "My grandpa always prays before meals too. Mom, why can't we do that at home?" "Maybe some day we can," said Connie, letting the conversation drop there. She was deep in thought. It had been a long time since she had gone to church as a child. What did she believe? Was there hope for her? Did Christmas have more meaning than just a festive holiday? After they finished their meal, Sean got out the family Bible from the bookcase and read the Christmas story — a family tradition. Waves of nostalgia spread through Connie as she remembered hearing the Christmas story read at home as a child. Suddenly she felt homesick. So very homesick. Later they all opened presents. "Oh, there are presents for us too!" squealed Tyler. A broad grin spread across Tony's face. "Cool." After the presents were opened, Hazel, Karen, Suzanne and Connie went to the kitchen to do dishes. Hazel turned to Connie. "What are you finding the most difficult now days?" "I dread getting the boys to school on the city bus and then finding a connecting bus to get to my work on time. The shelter is so far from Clearbrook Elementary School." Hazel thought for a minute. "I have a big family room and a bedroom downstairs. My house has been empty since my children grew up and left to get married. How would you like to move in with me until your house is fixed? It would save you the long bus trip." "I have a microwave and a small refrigerator which we aren't using," offered Karen. "You're welcome to use them." "No one has ever been so kind to me before." Connie's voice was choked with emotion. "Thank you so much." After Hazel's children and grandchildren left in the late afternoon, the house grew quiet. Connie could hear her sons laughing as they watched one of the "Veggie Tales," videos Hazel had gotten when her grandchildren were young. Noticing Hazel's Bible on the table by her rocking chair, Connie said shyly, "Would you mind if I ask you a personal question?" "I see you have a Bible. Do you read it?" Connie was now looking intently at Hazel. "Do you believe it?" "I don't think I would have survived the many ups and downs of life without my faith in God," said Hazel fervently, "especially after Roger's death. 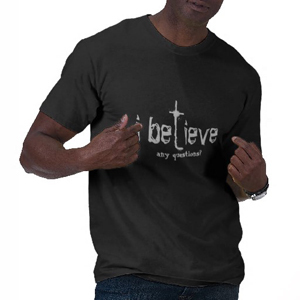 Yes, I do believe the Bible." "Well, I've been noticing something missing in my life lately. I haven't found anything to fill the emptiness," Connie continued sadly. "My parents believe in God. I gave up most of what I believed in college, and being married to Robert destroyed the rest." Both were silent for a few minutes. Then Connie said, "I was wondering if the boys and I could come to church with you. I want to find what I lost." "Honey, God has already been searching for you far more than you have been searching for Him. Of course you can come to church with me." Connie looked at her watch. "We have just enough time to make it to the bus stop. I'll be back tomorrow night with my things." She gave Hazel a warm hug. Hazel reached down and hugged Tony and Tyler who reminded her of when her own grandchildren were younger. "I'll be praying for you," Hazel assured them. "Merry Christmas." That night Hazel sat reflecting in her rocking chair. "Thank you, Lord. It was a much better Christmas than I imagined it would be. You let me help Connie at a time when I was feeling useless. Please help her find You." On the other side of the city, Connie snuggled under the blankets in her bed at the women's shelter for one last night. Across the room, she could hear the quiet breathing of her sons who had fallen into an exhausted sleep, still clutching their Christmas toys from Hazel. Hope had eluded Connie for so long in the past. Now she saw a glimmer of hope for the first time in months, maybe years. "God, thank you for sending Hazel just when I needed a friend," she whispered. "Now I believe in You."